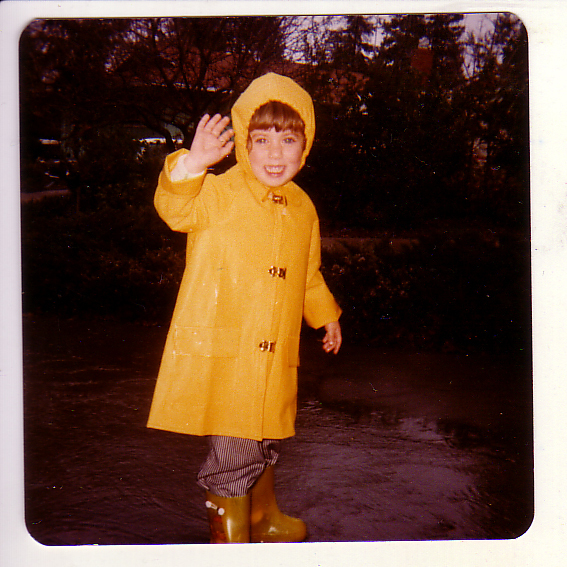 Me at age 4, looking very much like my daughter... but she wouldn't be caught dead in all yellow. Hmm… ok, so I totally dissed going through my old photos. I did it anyway. But this time in a new frame of mind. I am not trying to get rid of them to make space. I am going through them to find insight. It’s really difficult to find a new photo to add to a new post each day. Sometimes I don’t write just because I don’t have any interesting image to illustrate what I am thinking. It’s the image it seems that gives me focus. The image that adds 1000 words to my 500-ish. Now I have at least three others queued up for those dry spells. The insight I am looking for in these photos is what this archiving phase is really all about. Otherwise, it would be called the de-clutter phase. I am searching these photos, digging up memories, trying to find the best versions of myself. I hope to harness those elements to create my future self. Silly me, I don’t have to scan ALL the photos, just the ones that make me really really happy and I want to share with you. Sigh. How could this photo not make me happy. Who is happier than a small child from Maui having to put on cool yellow rain gear to properly splash in puddles in a Northern California fall? Also, I didn’t get a whole lot of new clothes as a child of a single mother. I think everything under this coat was new, paid for by my Grandpa. I would probably be that happy again today if Grandpa bought me a new outfit. If we could merge this “surprising new science of psychological change” with the message in Jeff’s book, “how sharing in the digital age improves the way we work and live,” you would end up with more or less what I am doing here with this blog. I think sharing my photos – the happy ones – could help me edit my self image. The images that will follow in the coming week are the moments I am thankful for, and get to the core of my happiness. So have a Happy Thanksgiving, from Harmony, Age 4.